I could have sworn some of you were hyperventilating when you read my past post on the Dishwasher Safe Swarovski dinnerware! 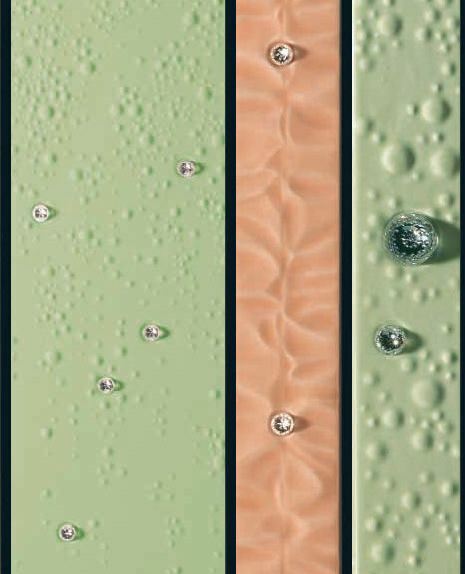 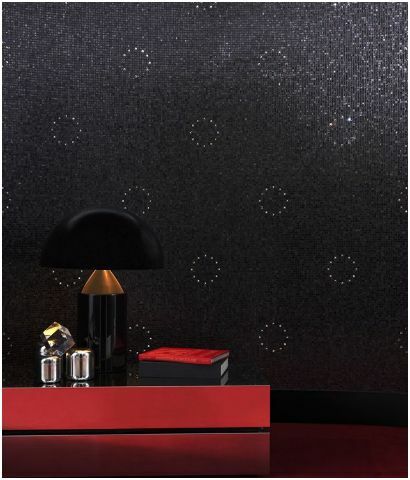 Well, drool some more as we explore Swarovski crystals embellished tiles and fixtures. 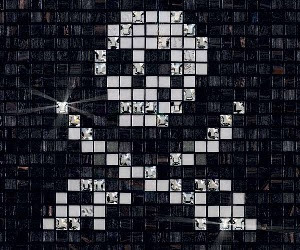 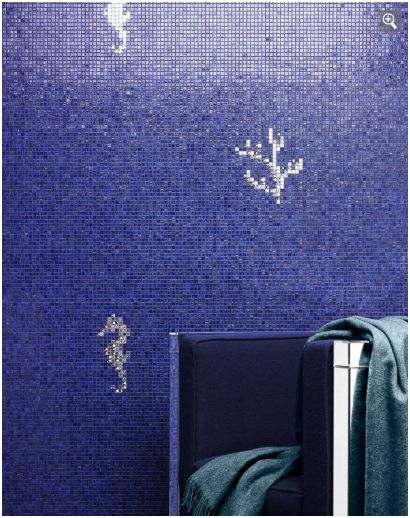 Bisazza's Crystal Collection offers bling effect mosaic tiles to bring out the sparkle in all sorts of pixelated wall art. 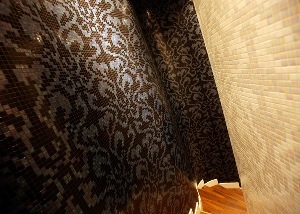 Isn't the staircase wall amazing? 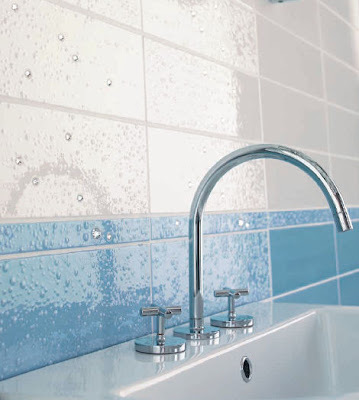 AlfaLux Ceramiche is another Italian company who makes gorgeous Swarovski tiles. 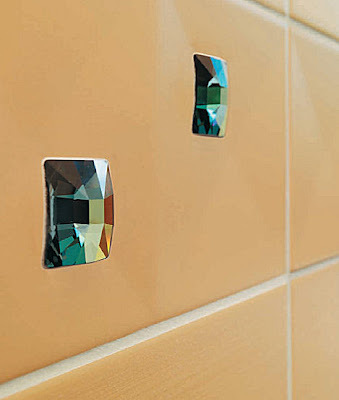 They embed the Swarovski Strass flat back components in much larger tiles. These sure do glamorizes the good old kitchen sink! But alas, not dishwashing! 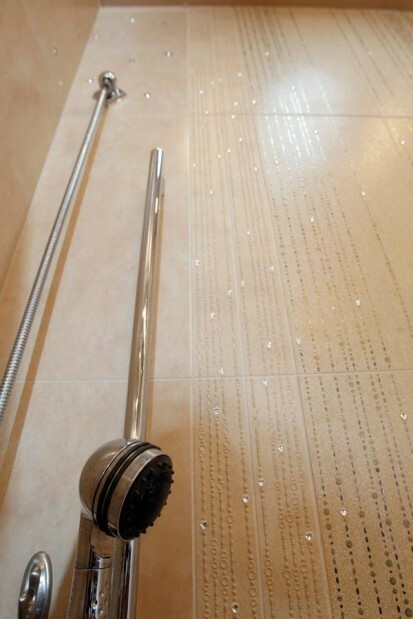 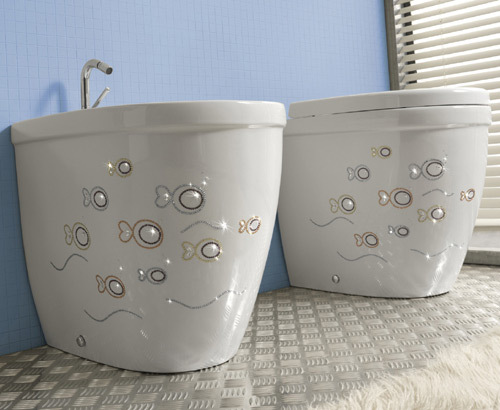 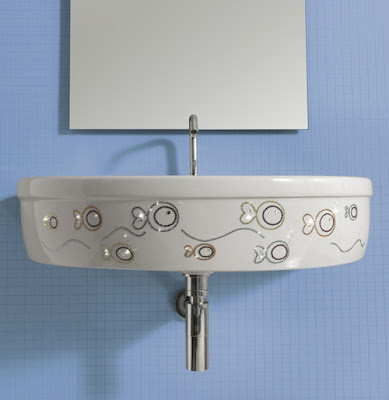 If tiles are not enough, then check out the gorgeous Swarvoski embellished bathroom fixtures by Vitruvit. Inspired? 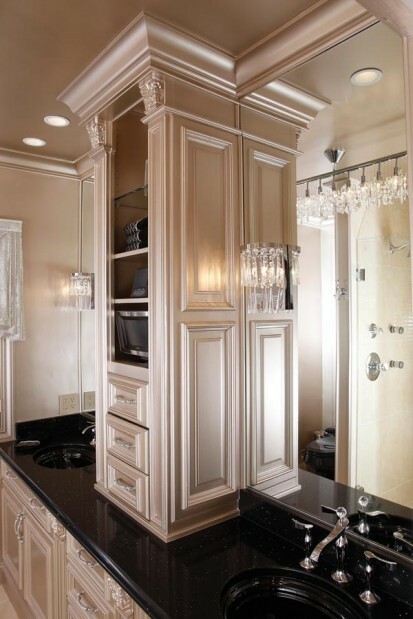 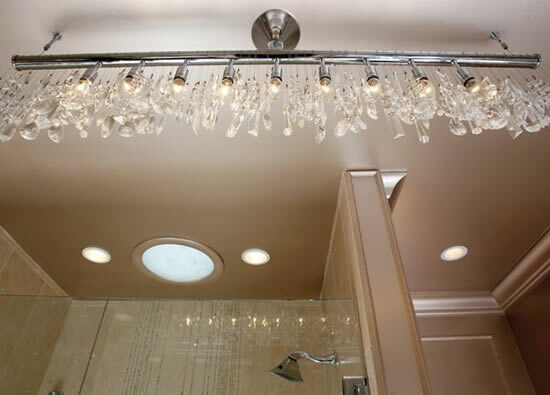 Then go to town with Swarvoski crystals in the bathroom as designer Kathy Flack of Flack Interior Design Associates did for her client. There are Swarvoski crystals cascading down the shower tiles as well as hanging from the light fixtures. 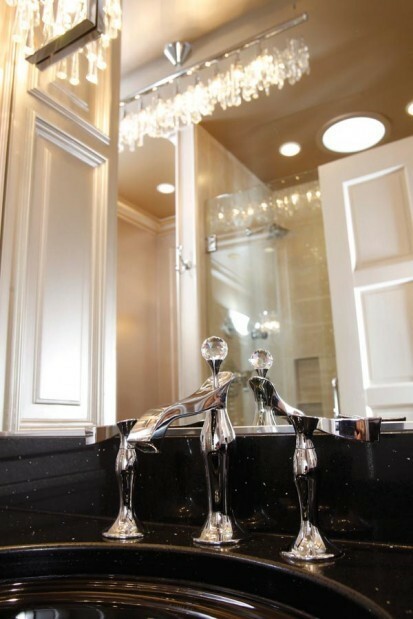 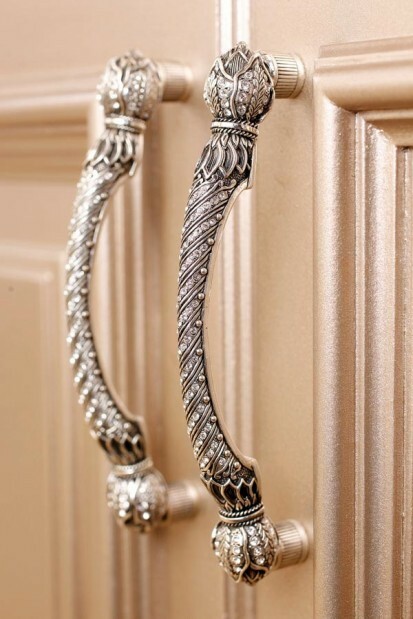 Swarovski crystal decorate the chrome taps, cabinet door handles for a sparkle heaven. Surely this bathroom must be the owner's favorite room in the house!